Mark Brandon DipWSET was one of WSET’s earliest Diploma graduates, achieving the accolade in 1970. In celebration of WSET’s 50th anniversary, Mark reflects on his early experience of studying WSET qualifications and how it aided his career. How did you originally hear about WSET and what inspired you to do the first WSET Diploma? My employers always encouraged education and so taking the WSET courses was a natural part of the job and enabled one’s career to progress. As an apprentice, I was sent to London to take my WSET exams in Vintners Hall. When I took what was then the WSET Higher Certificate in Wines and Spirits, they experimented with a "viva voce" format that resulted in my getting a distinction. Being hard-up I went for questions in the Diploma exams that carried a scholarship. So, in addition to my distinction, I earned myself a trip to Germany and a visit to the whisky distilleries. How did your WSET Diploma help your future career development? When I first started in the wine trade, wine came in cask and merchants carried four years stock in order to let the tannins mature. This meant that grocers and supermarkets could not handle wine. There were very few books on wine and some of our text books were pre-war. The Diploma always stood me in good stead and in fact I ran WSET courses for catering students at Bournemouth College for which we had a very high pass rate. I tried to progress to the MW but my employers, IDV (now Diageo) who had a large number of Masters of Wine on their staff, thought they were "uncommercial." So, although I did not take the MW I was given the best wine job in the company. Tell us about your career in wine. Are you still using your WSET knowledge now? I was the wine trade’s last indentured apprentice and worked in wine continuously for over 50 years, starting at J.H.G.Hamilton in Canterbury. Intent on one day running my own business, I sought positions that would further my knowledge. I thus ran (and rebuilt) the cellars of the oldest, and then largest UK mail order wine business, the (I.E.C.) Wine Society, before joining IDV. There I spent two years in quality control, two years in wine purchasing and four years in product marketing, where I controlled 10% of the country’s wine imports. After moving to Dorset in 1974, I spent twelve years in charge of the wine & spirit department at Hall & Woodhouse brewery, switching their purchasing from the UK Trade to direct sourcing abroad. I was also a Director of the Clansouth consortium of 26 breweries, where I formed, and then chaired for five years, the wine-buying committee. For five years (starting in 1981) my own company, International Wine Services, provided the shipping, scheduling and bottling function for Clansouth. Whilst in Dorset I regularly tutored catering students on WSET courses, and my wife and I ran a successful consumer wine club. In 1987 I joined Mayor Sworder, the City wine merchants, and ran their purchasing and stock-control for eight years. Following the take-over of Mayor Sworder by J.T.Davies in 1995, I left to form Brandon Associates, using my experience as a buyer to help educate and inform both the trade and consumer. I have also written for Robert Parker in the US, and worked with Taste of the Vine, an international specialist in corporate entertainment. I have been retired some nine years now after 50 in wine but still run a successful wine club: SWIG (Salisbury Wine Interest Group). Do you think the WSET Diploma is very different today compared to when you did it? 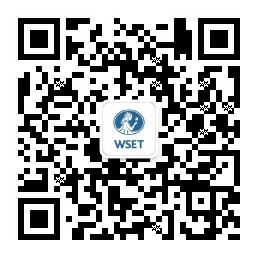 WSET education has improved greatly over the years, always expanding the general pool of wine knowledge. This meant that, at least as far as the theory was concerned, the older generation of MWs knew less than the later generation of WSET Diploma graduates! As WSET celebrates its 50th Anniversary in 2019, we ask our early Level 4 Diploma graduates to share how wine education has influenced their career and lives.